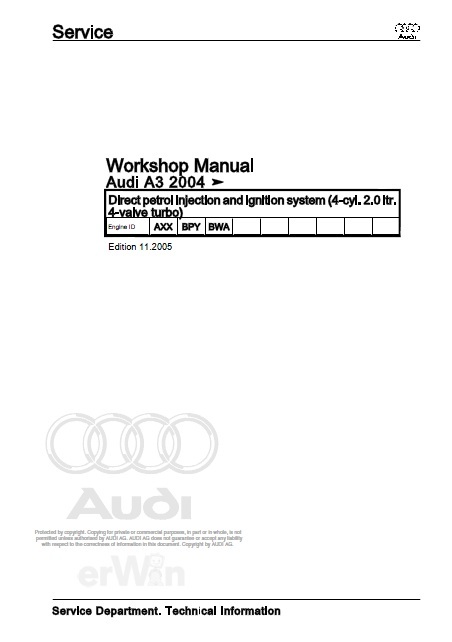 Workshop Manual Audi A3 2004. Direct petrol injection and ignition system (4-cyl. 2.0 ltr. 4-valve turbo) Engine AXX BPY BWA. Описание : Direct petrol injection and ignition system (4-cyl. 2.0 ltr. 4-valve turbo) Engine AXX BPY BWA.